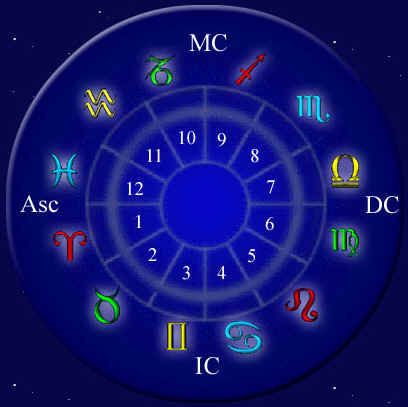 Numerology has a rich, multicultural history dating back thousands of years. The ancient Greeks understood the universe as a great cosmic order, with science and art bound by the same laws of mathematics. It may seem a little strange to think of something as mundane as math having mystical power but, that's exactly what numerology is all about. In this system, each number has a distinct significance and a mystical nature. Tune in to the vibrations of your personal numbers and you will be amazed at the insights you gain not only about yourself, but anyone else you may be curious about. Once you master the basic fundamentals of numerology, it's easy to apply them to your life. Simply reduce, or add together, the digits of your birthday until you end up with a single digit. For example, 11/15 reduces to 11+15=26, which in turn reduces to 2+6=8. 8 would be your personal power number if your birthday falls on this day. The only exceptions to the rule are power numbers 11 and 22, which are considered special in numerology and do not reduce any further. Number 8 - Power, strength, finances, reproduction, marriage, stress on business affairs. It is a number of pushing ahead and with force. The number is associated with the planet Saturn. A person born under the number 8 is powerful indeed. This person has the ability to make a ton of money and have a very successful marriage, but he or she can expect to hit some occasional rough spots in their professional life. Not to worry though, because Number 8s are able to bounce back from even the most challenging adversity. Just when others believe that 8's are at their wits end, overnight 8's can and will become the VIPs of tomorrow. This is not someone you want to burn bridges with, so to speak. They have the ability to bring money and success to others closest to them. Loyalty will be rewarded with number 8's. Give them your best. Even your residence has a special number and energy that is consistent with that number. Take all numbers and add them together - 1+4+5+6+8= 24 (2+4=6) 6 is the number that represents that house. Number six energies (issues that rule (are associated) the number 6) will be consistent in that particular residence. Number Six - Emphasis on the home, change of residence, the rediscovering of friends, family and lovers. Diplomacy will have to be strictly adhered to in this residence. Someone who lives in this house is apt to have a serious hobby or possibly have a job associated with the law or art. The number six is associated with the planet Venus. The Venus influence will make this home very attractive to others. Two's - Two's company - and those that hold this power number value partnership and communication. Sensitive, receptive and tolerant. Two's value stability and don't like to rock the boat. Two rules the Moon and therefore, the sign of Cancer! In love affairs: Two's appreciate comfort and security, so they tend to bond with domestic oriented four's, nurturing sixes, and pragmatic eights. Consistency-craving twos tend to be ill at ease around the spontaneous energy of Threes and Fives. Three's - Witty, outgoing and vibrant, Threes are known for being the life of the party. Spontaneous and creative, people with this power number can't stand to be tied down. In love: Threes are typically social creatures and can charm their way into almost anyone's heart. But they share a special connection with Ones, passionate fives, and driven sevens. However, they have no patience with Twos and Fours. Three's are ruled by the planet Mercury and the sign of Gemini. Four's - Just as four walls make up a room, Four people are interested in building a solid foundation and a sense of personal space. Disciplined, reliable and stable, Fours tend to play by the rules. In love: Grounded and generous. Fours relate to caring Sixes, thoughtful Sevens and idealistic Nines. They also harmonize with partnership oriented, loyal Twos. But Fours' sense of stability is undermined by impulsive Ones, impetuous Threes and adventurous Fives. Five - An adventurous spirit is what fuels Fives. Very passionate, ambitious and gutsy. Five people live for romance and excitement. In love: Fives love the spotlight and tend to thrive when surrounded by many types of personalities and people. They click with active Ones, gregarious Threes, and sharp witted Sevens. The slow and steady attitude of Twos, Fours and Sixes will tend to fray Five's nerves. Six - Sixes are responsible, hardworking caretakers who aspire to live up to the highest ideals. Compassionate and grounded, people with this power number place great value in relationships and home life. In love: Patient, thoughtful, easygoing sixes can get along with almost anyone. They have a special connection with other Sixes, espeically in love affairs. Reliable twos and Fours can be kindred spirits, but the unpredictability of Ones and Threes is tense for by-the book Six. Seven - Thoughtful and analytical, Sevens are known for their powers of intuition and perception. With their perfectionism and decisiveness, Sevens prefer to strike out on their own rather than follow the crowd. In love: Sevens are analytical and practical as well as idealistic, so they harmonize well with Twenty-twos' combination of vision and pragmatism. Spiritually evolved Elevens also connect well with Sevens. Cooperation-oriented Twos and Sixes, however, mystify independent Sevens. Eight - Eights are ambitious go-getters, determined to climb the ladder of success. Independent, confident, and capable, people with this power number let nothing stand in the way of their goals. In love and sexual affairs: Ambitious, dynamic and competitive, Eights have excellent relationships with assertive Ones and decisive Sevens. Romantically, they may be drawn to passionate Fives. But home-oriented Fours and Sixes have few goals and priorities in common with success driven Eights. Nine- Changing the world is a top proirity for idealistic, enlightened Nines. People with this power number are seekers and teachers, fellow healers who strive to expand their own minds as well of others'. Eleven - Eleven, one of the two "two-digit" master numbers in numerology, is the number of the visionary. Humanitarian and spiritual, Elevens are idealists who put their beliefs into practice. In love affairs: Idealistic, insightful Elevens appreciate the consciousness-raising crusades of Nines, the cooperation of Twos, and the leadership ability of Sevens. Elevens believe in equality, impartiality, and justice, so they are inclined to give almost anyone a chance. The "me-first" attitude of Ones will leave them cold. Twenty-Two - Twenty-two is the second of two two digit "master numbers" in Numerology. Generous and warm, Twenty-twos seek peace, harmony and understanding. They truly believe in the ideals of universal love and brotherhood, and look forward to the day that they achieve it. In love - With their skillful balance of spirituality and logic, intuition and action, Twenty-twos make great leaders who communicate well with almost anyone. They share the inspiration and commitment of Nines and Elevens, and the reasoning ability of Sevens. But these leadership qualities may not fly with Fives, who can't stand being told what to do.